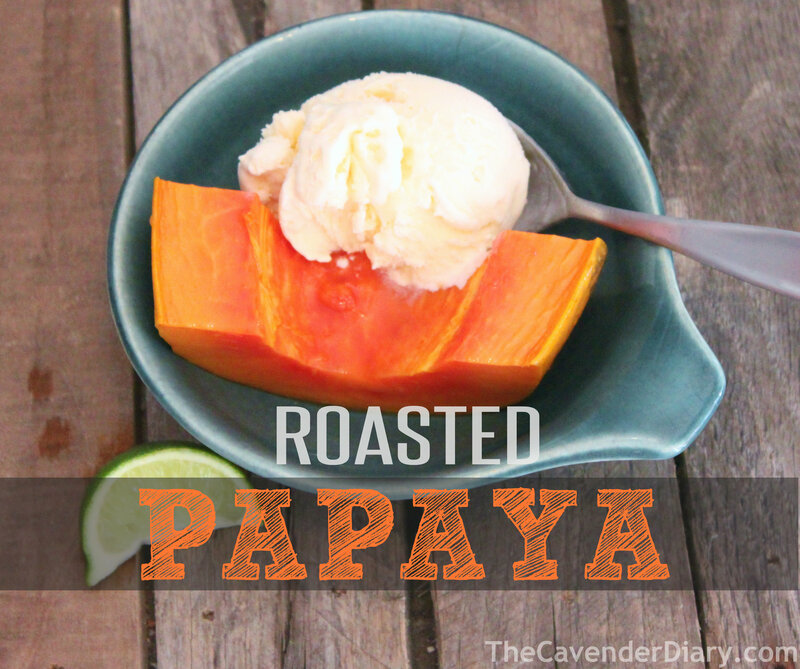 I first heard about roasted papaya a few years ago, when we were in Hawaii, but I never had a chance to try it. 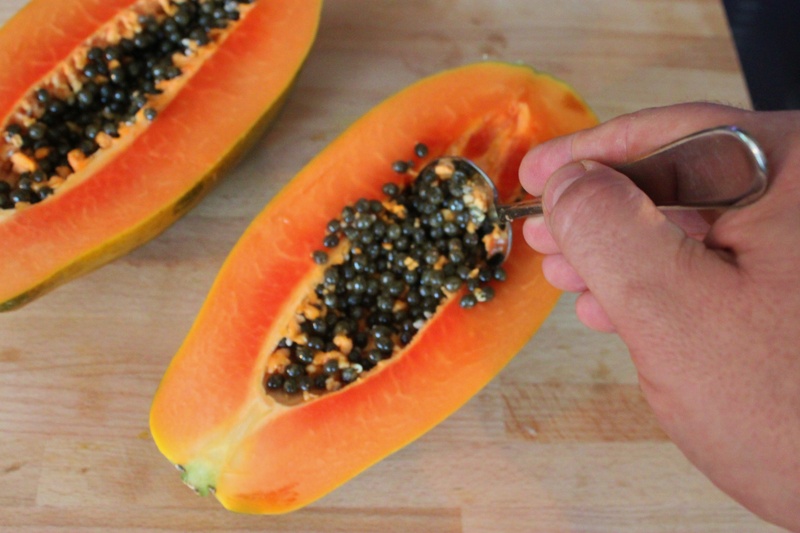 Start with a ripe papaya. Firm, but not too soft. Slice the guy in half and use a spoon to remove the bitter seeds. Lay the slices on a baking sheet and drizzle with agave nectar. Slide them into a 450 degree oven for about 20 – 25 minutes. 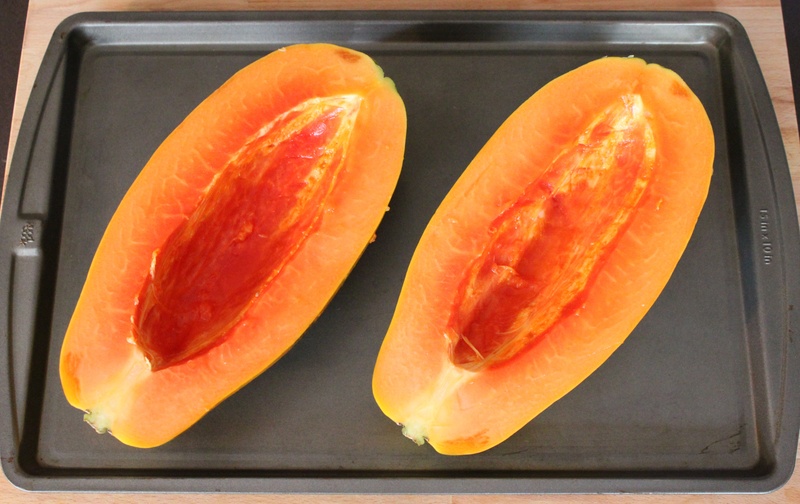 The top gets slightly dried, and the orange flesh becomes soft. It’s ready. 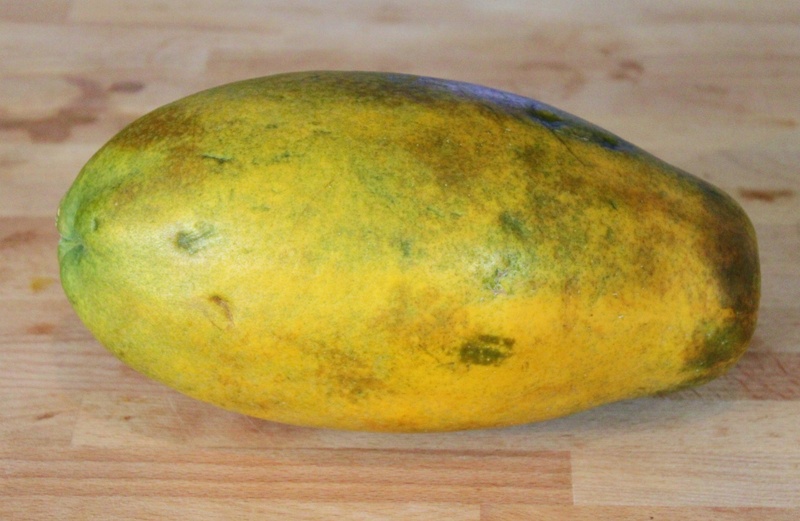 While the papaya is still warm, slice a chunk off , squeeze a little lime juice on it and serve with a scoop of good vanilla ice cream. Perfect dessert after a luau…. Or, any ol’ summer meal I suppose. Whaaat!!?? Who knew? I really want to try this, because I think that anything’s better when roasted!